Are you PASSIONATE about empowering Ethiopian girls to rise up against injustice and fight for a better future? Are you imaginative, disciplined and want to improve your writing skills? 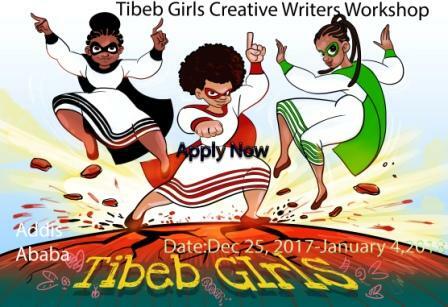 Trainers: Tibeb Girls creator and international awards winner, Bruktawit Tigabu, Children scriptwriter and 2016 Alex Barris Mentorship Award winner Clive Endersby, and Education consultant and author Tedi Ware. Only 10 spots available! You may read about the organizers here. Apply before Friday, 5 January 2018.